In November 1996 I accompanied Fr Kevin Doheny, CSSp, on a journey from Medjugorje to Sarajevo. He had been a missionary in Biafra, where there were thousands of displaced people and refugees after the civil war. This experience prompted him to establish Refugee Trust International in 1989 to assist them. When the Bosnian civil war (1992-1995) concluded with the Daytona Peace Agreement there were 2.2 million displaced people in Bosnia-Herzegovina. In answer to a general appeal for assistance Fr Doheny opened up centres of Refugee Trust in Mostar and Sarajevo. While on a pilgrimage to Medjugorje Fr Doheny availed of the opportunity to observe the work of these centres. As we drove along the road between Mostar and Sarajevo the evidence of ethnic cleansing could be seen on both sides. 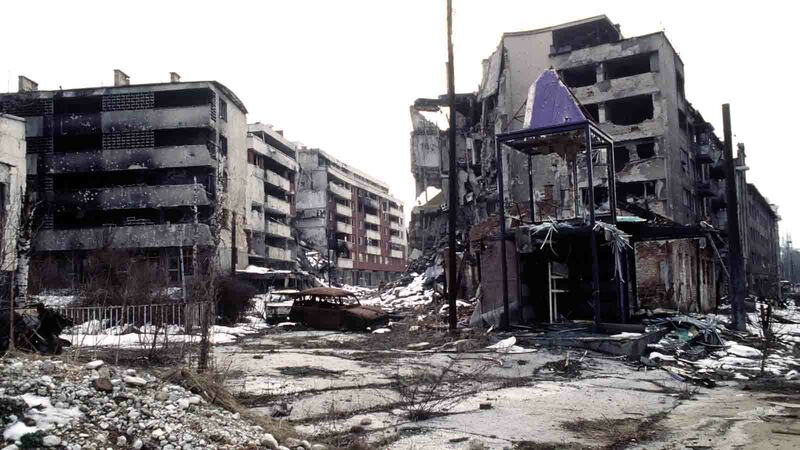 The Serb (formally the Yugoslav) army had crashed through the area and systematically destroyed all the buildings in their path to ensure that those who had fled before them would never return. The roofless, windowless burnt-out houses were gaunt reminders of their ruthlessness. 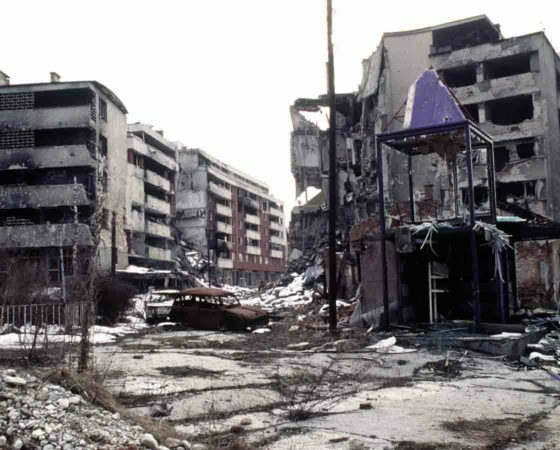 The appearance of Sarajevo was no less shocking. It looked like the cities in Germany at the end of World War II. I was vividly reminded of that first-hand experience of ethnic cleansing by two recent events. "She learned about the massacre at Srebreica when more than 8,000 men and boys were serially murdered"
There were the life-sentences for war crimes handed down by the United Nations International Court of Justice to the Serb general Ratko Mladic and to the Croat commander Slobodan Praljak (who took poison in the dock as the verdict was rendered, and so dying, avoided the sentence). 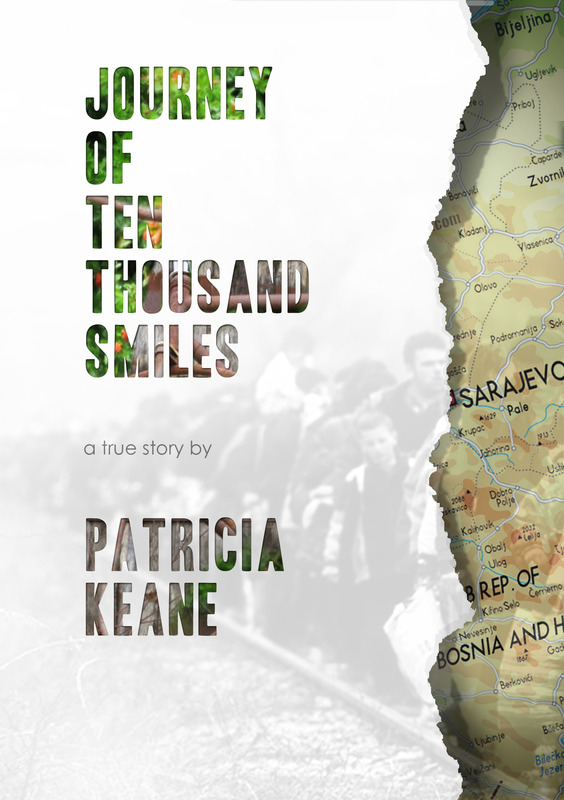 More significantly than these there is Patricia Keane’s account of Rebuild for Bosnia and Friends of Rebuild for Bosnia, and the remarkable humanitarian work for which they are responsible. This is a true labour of love, rather than an act of hate. Patricia Keane was born in Suncroft, Co. Kildare, in 1961. She was educated locally and qualified as a clinical nutritionist. After a number of unhappy experiences at the suggestion of a friend she went on a pilgrimage to Medjugorje in 1998. While there she visited a Centre for Displaced People which was nearby. She was shocked at the conditions in which the inmates were attempting to survive. On her return home, with others she established Rebuild for Bosnia, a charity, the objective of which was to build homes in Bosnia-Herzegovina for displaced families of Catholic Croats, Muslim Bosniaks, and Orthodox Serbs driven from their homes during the civil war. Subsequently she and her colleagues set up Friends of Rebuild for Bosnia to raise funds for the project. In a period of five years it raised €2.5 million. Ninety per cent of that money was spent on having 78 houses built with the remainder funding the repair of schools as well as supplying the sick with life-saving medicines and devices. Patricia was determined that homes would be made available to the most vulnerable persons, such as widows and others who had the responsibility of caring for children with mental and physical disabilities. To this end she met and heard the tragic life-stories of many of the Bosnian refugees. She learned about the massacre at Srebrenica when more than 8,000 men and boys were serially murdered and buried in mass graves. And she became aware of other less well-known massacres carried out by the same Serb army at Tuzla and Vukovar. She records some of her interviews verbatim – horrifying accounts of murders, rapes, torture, and deliberately degrading incarceration. Presumably to lighten her dark narrative of man’s inhumanity to man she includes an account of a seemingly miraculous case of healing, following prayer to Our Lady at Medjugorje. Patricia concludes with a number of very useful reflections: on knowing your limitations, prayer, true forgiveness, and trusting in God. This book is not just interesting; it is inspirational, and it splendidly illustrates Patricia’s mantra that ‘It is better to light a candle than to curse the darkness’. "Patricia was determined that homes would be made available to the most vulnerable persons such as widows"